As well as the above Watch and BBC Radio 4 Extra are showing various repeats and other Doctor Who programmes. Channel Five are repeating the 1960s Dalek Movies on November 23 and 24. This accumulator page will feature all merchandise specifically aimed at the 50th anniversary special The Day of The Doctor. 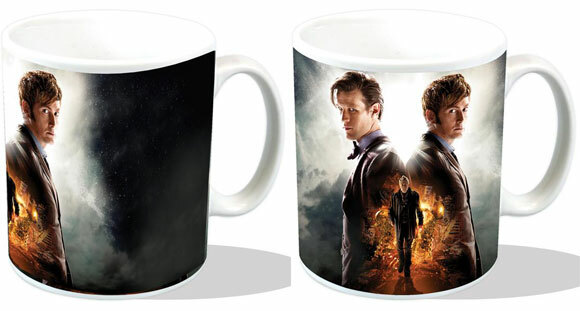 Celebrate the 50th anniversary of Doctor Who with these great mugs featuring the 10th and 11th Doctors and the mysterious Doctor played by John Hurt! 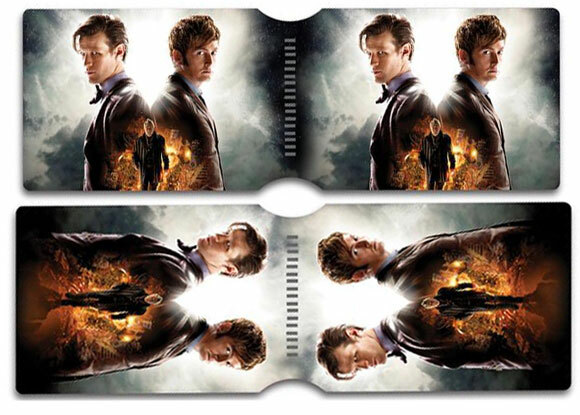 Celebrate the 50th anniversary of Doctor Who with these great travel-pass holders featuring the 10th and 11th Doctors and the mysterious Doctor played by John Hurt! BBC Worldwide have announced that An Adventure in Space & Time is now included with the UK release. There is no need to re-order. USA Customers can order The DVD from www.Amazon.com Here or the Blu-ray from www.Amazon.com Here. 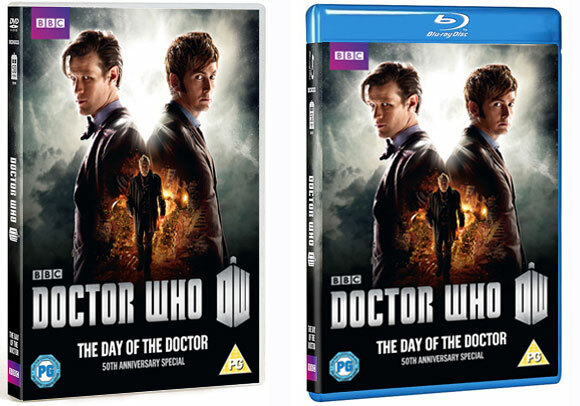 Amazon USA have the Blu-ray listed as a 3D Blu-ray/DVD combo pack There is no Confirmation That Adventures in Space and Time is included with this Version. Whatever anyone says -Walter Howarth did not do the artwork for the cover of the first DrWho annual. he only did the line drawings for the inside pages while I was in hospital for months having done the design and colour art for the cover previously.Perhaps someone thought I was not coming back!The recent 50th birthday show inspired me to look on line.Oh dear! On the Blue Peter interview the presenter sits in Matt’s chair and Matt sits in Jenna’s chair!!! Gonna watch all of those however greatest monsters and villains was truly awful, should have shown some classic episodes and not the worst new ones u could find, some were good tho.